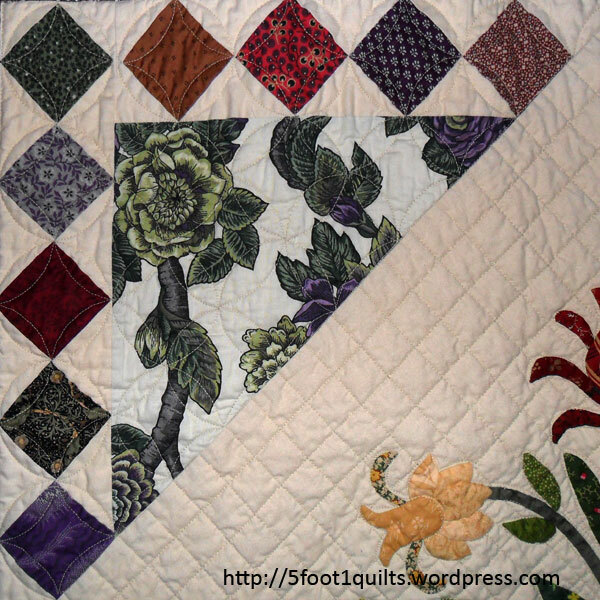 I started patchwork in 1994 and developed a love 1800s reproduction fabrics. Late 1994 was also when RJR released their Smithsonian ‘Rising Sun’ collection and I truly became a ‘Repro Girl’. Hard to believe with those bright fabrics in the image above, I know. At the time I only bought the purple colour-way. Various fabrics from other colour-ways and Smithsonian collections made their way into my stash, but those rich purples had me hooked. 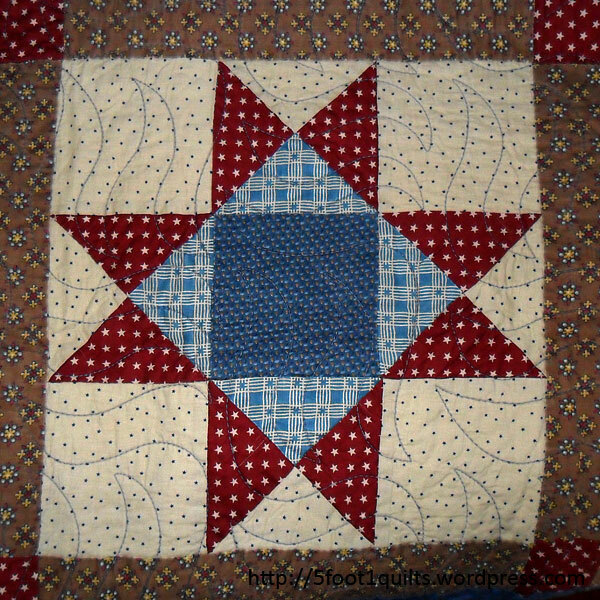 My first quilt, a sampler, was made for my first child, which he received on his 15th birthday, he was two when I started. A neighbour at the time persuaded me to join her in a 12 week beginner’s course at Primarily Patchwork. So unbeknownst to me I had signed up at one of the best shops in Melbourne, a happy accident. Signing up to do that course was crazy as I was studying two full-time courses, Diploma of Aromatherapy & a Certificate in Remedial & Sports Massage, working two part-time jobs, had a two year old and was pregnant with my second son! Said son was born during the course, but that’s okay because I was prepared, I had ensured I would have sewing to do in the hospital and my neighbour came and picked me up from the hospital to take me to class. Up at 6.00am so that I could get to work early, worked that morning, caught a tram to class for the afternoon, then hopped on a train after class to get to the shop to sign up and buy fabrics, then back on the train to go all the way back into the city and catch a train home all the way out the beach side suburb I lived in. Shear madness! I don’t think I’d do that now with a car, of course I’m older and apparently wiser. 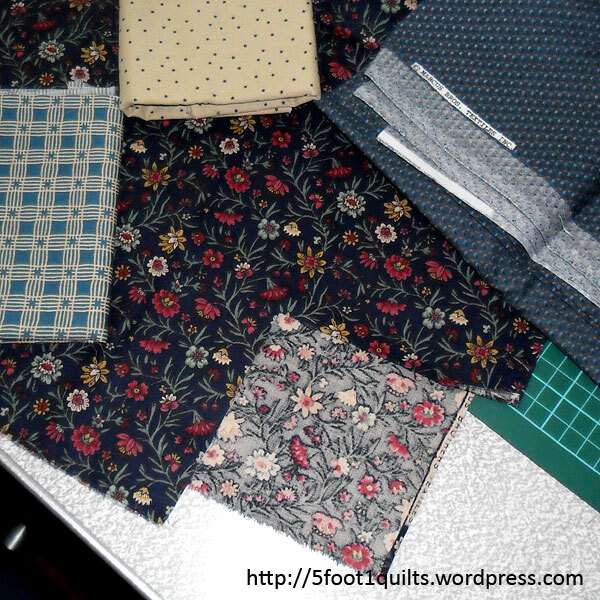 I know the very first fabric I bought for that quilt (that dark blue floral below), and I’ve still not used it in a quilt to this day. It wasn’t a bad fabric by any means, it just wasn’t meant for that quilt. Is everyone’s very first block an Ohio Star? Is that why they’re so loved. The very first block, I was very proud of it and I was hooked. 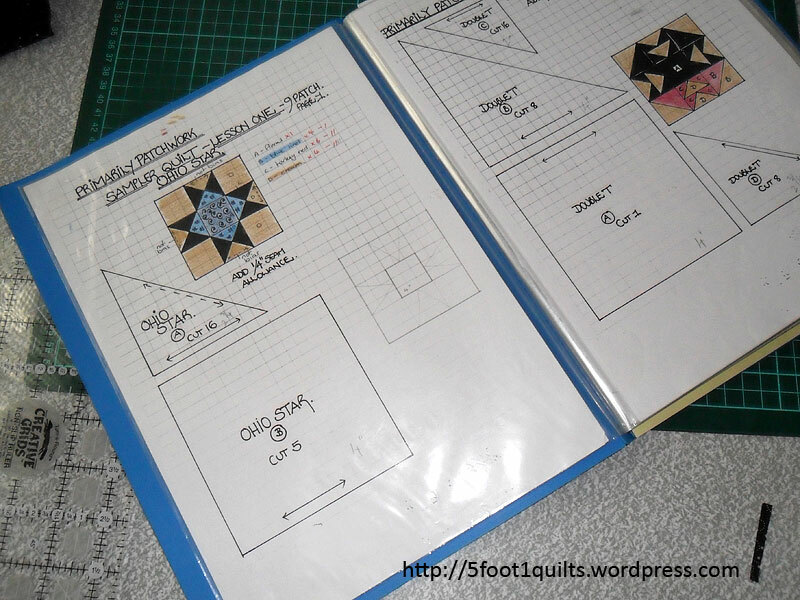 That beginners course covered needle-turn applique as well, but I didn’t want an appliqué block in my quilt. Applique just didn’t appeal to me then. 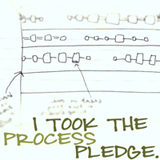 How we change. Normally I’d say I usually have 3 or 4 appliqué medallion quilts on the go, but I only have two at the moment, both my own designs. I’m a very slow quiltmaker, but I’m getting faster. It takes me ages to finish a project and I’m usually amazed at how many quilters I know start and finish the most amazing quilts so quickly.